Used this item as a favor for my future daughter-in-law's bridal shower. It was a big hit! The quality of all the items was very good & the mini-handbag is a cute presentation. A great favor for my next party. It was great to be able to have a giveaway that was very cute and added to the decorations at the table. And, even better, it was useful! Big hit @ our Ladies' Tea! We used these as game prizes for our Ladies Tea for our church. They were a big hit and went fast. I bought these as gifts for my friends that came to my purse party - so it was a great gift - however the actual tools were not that great. I purchased these for my 13 year old daughter to give as gifts to her ballet company. She was thrilled with the look of the product and will be quite happy to distribute these at Christmas. 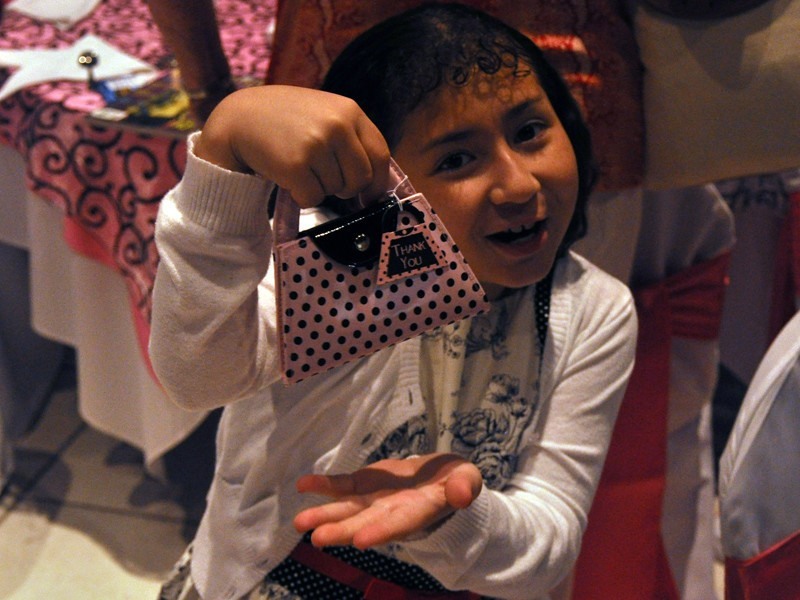 The mini purse that holds a surpirse!! I use the mini purses/ nail kit for thank you gifts for customers who book home purse parties from me. The price is right plus it looks like a mini purse,a theme which is hard to find. When the gift is open usually the comment is "Cool" or " I like the size" or "Great for travel"
Exactly what I was looking for. An inexpensive gift for a large group that everyone would acctually enjoy receiving. It got rave reviews at my shower and made me look great. 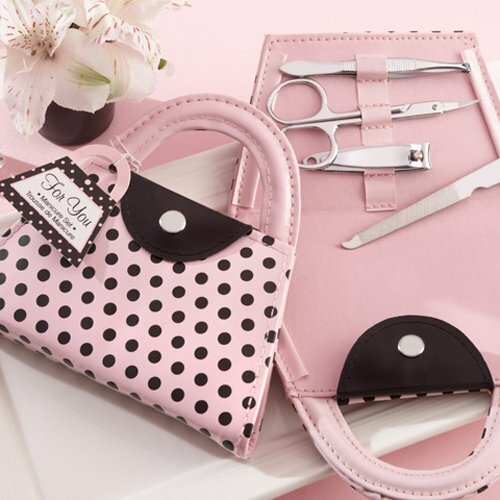 The pink purse set contains a manicure set complete with nail file, clippers, tweezers and scissors. This adorable manicure set also comes with a matching tag that says "For You", the perfect message for any guest. Closed, the purse measures 5"L x 1"W x 5.5"H.